Huntersville homes for sale are in Charlotte’s neighbor town to the north. 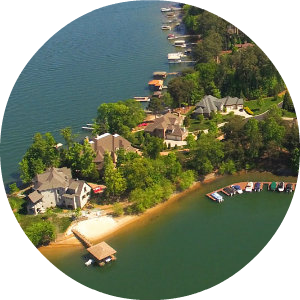 Sharing a border with the beautiful Lake Norman, residents of Huntersville live in an energetic community that is in high demand. With easy access to both the Blue Ridge Mountains and the East Coast beaches, Huntersville is ideal for a speedy weekend getaway. Yet there is plenty to keep you busy just a short drive from your front door. 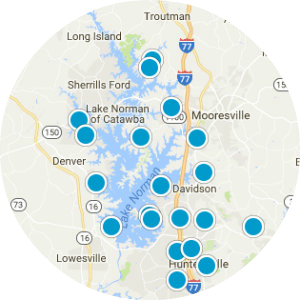 Excellent shopping and dining, great schools, and the close proximity to recreation and sports in Charlotte. 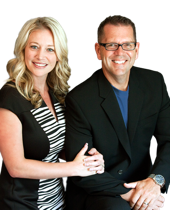 make homes in Huntersville an excellent choice for NC homes. Real estate in Huntersville is made up of mainly single-family homes, though there are also condos available for a lower-maintenance lifestyle. Huntersville homes for sale come in a range of prices and sizes to accommodate many budgets and lifestyle needs. You can find upper-end luxury homes as well as smaller 2-bed, 2-bath residences. Huntersville homes are grouped into friendly neighborhoods, each with their own distinct vibe. 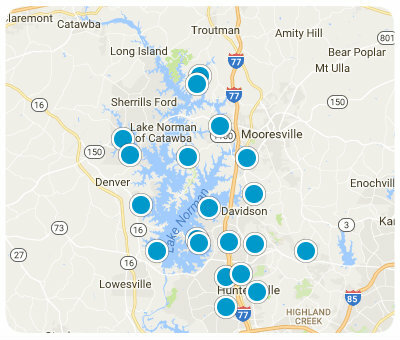 You can find waterfront homes in Huntersville—some with private boat docks—as well as access to community boat slips. Northstone is a country club community with amenities like a private golf course, tennis courts, fitness center, and swimming pool. 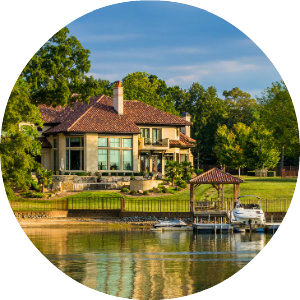 Huntersville homes for sale offer great options for families, working professionals, and everyone in between. Recreation near Huntersville homes includes activities that take advantage of the sports scene in Charlotte, as well as the amenities of Lake Norman. Those who enjoy boating will love the man-made lake that features an outstanding shoreline of 500-plus miles. Other fun water activities like paddleboarding, jet skiing, and kayaking are also favorites for residents and visitors alike. Huntersville homes also have several parks close by with sports facilities, playgrounds, and walking trails. In addition to the lake, Huntersville real estate is near museums and the annual Renaissance Festival from October to November. NASCAR has roots in the town, since the local Joe Gibbs Racing shop operates four NASCAR teams. For professional sports, Charlotte is the home stadium for the NFL Carolina Panthers and NBA Charlotte Hornets. Huntersville homes for sale are close to a variety of shopping and dining opportunities. Birkdale Village is a popular option that boasts over 60 shops, cafes, businesses, and restaurants that line the pedestrian-friendly streets. Browse the selection of clothes, coffee, and more along the tree-lined sidewalks. Northcross Shopping Center and Rosedale Shopping Center offer department stores, Harris Teeter groceries, service shops, and restaurants to meet many needs. Travel in and around Huntersville is simplified by two exits on Interstate 77, in addition to bus service. Residents of Huntersville are served by Charlotte-Mecklenburg Schools. Lake Norman Charter School and several private schools offer alternative education. The north campus of Central Piedmont Community College offers higher education, as well as the nearby institutions in Charlotte.